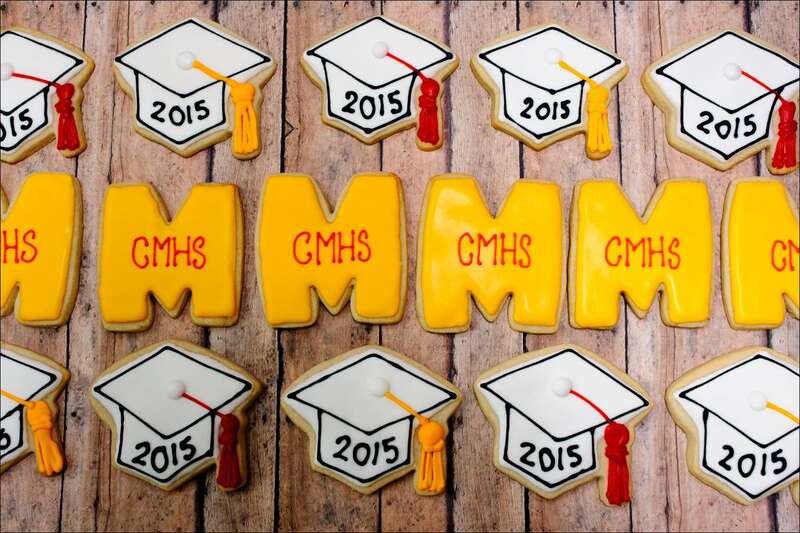 I made these graduation cookies for a boy who was graduating from Cardinal Mooney High School last spring. 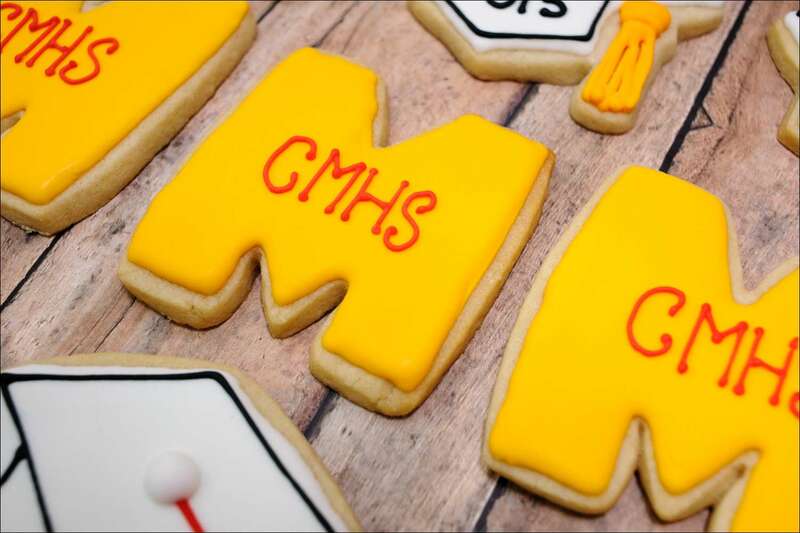 The mom wanted Mooney colors (cardinal red and gold) in the shape of and “M” for Mooney and a graduation cap with tassels in the school colors. 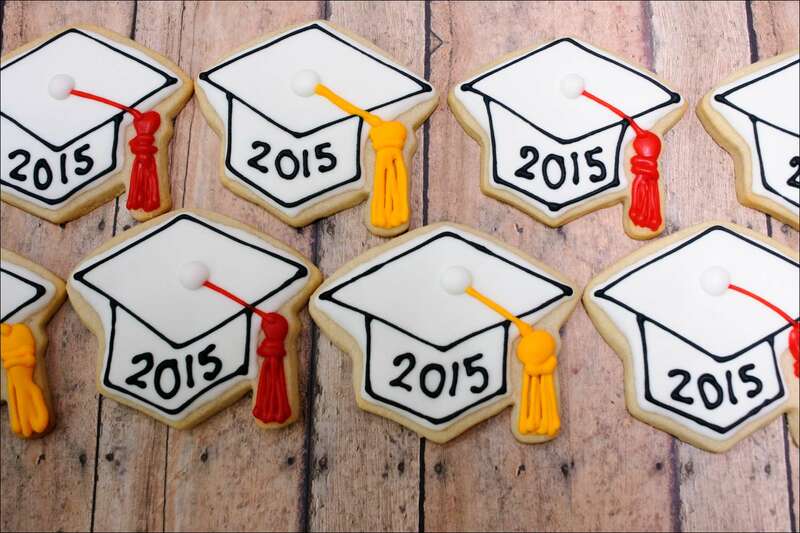 The graduation caps were fairly time consuming as I had numerous steps and layers of royal icing that required drying time in between. 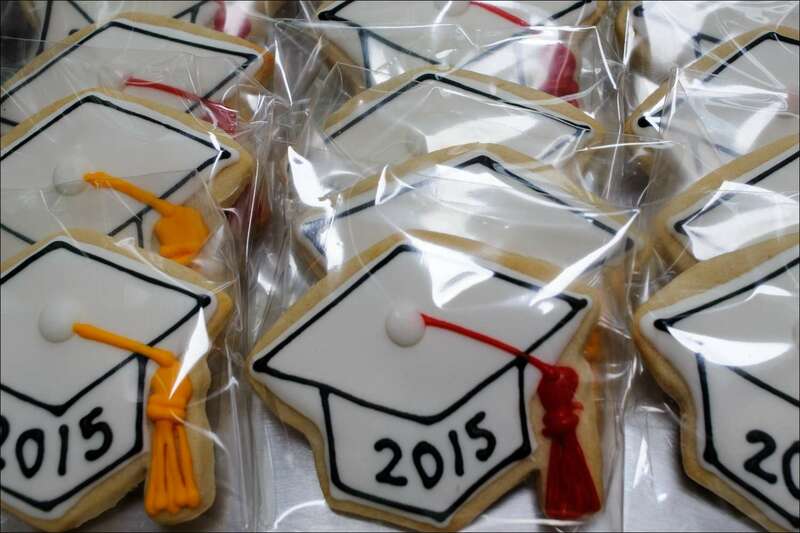 After drying, I packaged them up as favors for the graduation party. 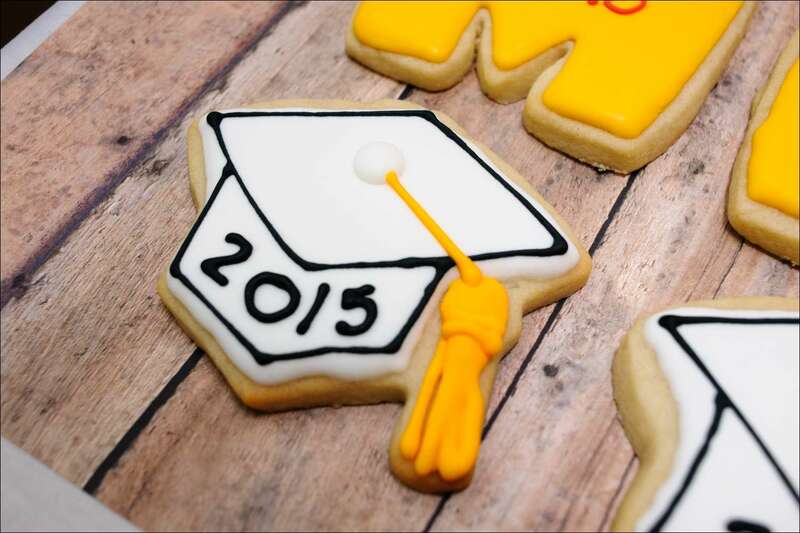 Congratulations on your graduation, Jack! 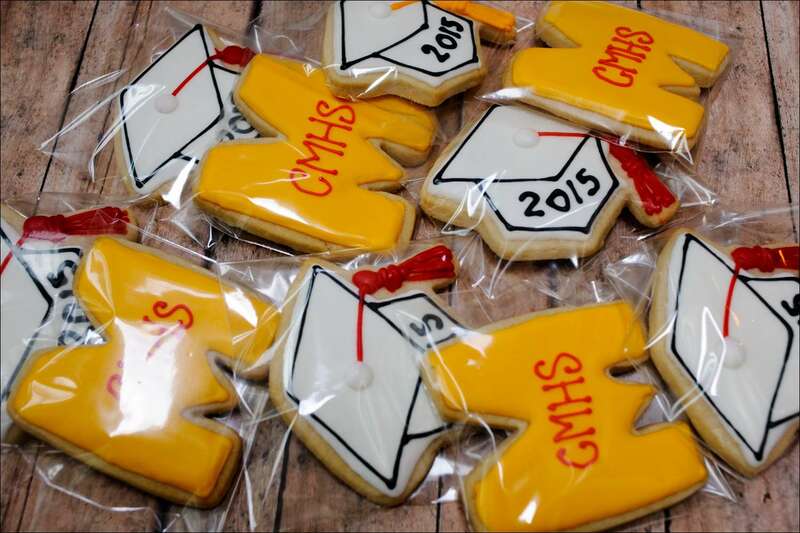 Hope you enjoyed your cookies as much as I did making them!